Revenge doesn't have a name, but has chosen a victim - Shamira. But she's never been the type to lie down and let someone hurt her family or her friends. In order to find the mastermind behind the threat to all she cares about, she must give up the one person who's found his way into her guarded heart, Valens.Valens refuses to back off easily, and neither will Shamira's friends. They join forces with her in order to deal with a new enemy who seeks to kill everyone in Shamira's life that dared save the missing kids on Mars. L.M. Preston was born and raised in Washington, DC. An avid reader, she loved to create poetry and short-stories as a young girl. She started writing science fiction under the encouragement of her husband who was a Sci-Fi buff and her four kids. 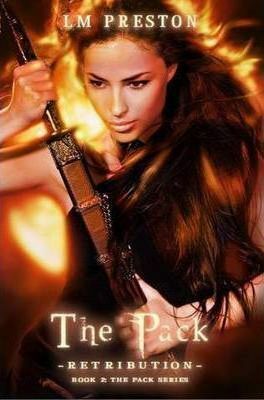 Her obsessive desire to write and create stories of young people who overcome unbelievable odds introduced series such as The Pack, Bandits, Purgatory Reign and her LUV novellas. She loves to write while on the porch watching her kids play or when she is traveling, which is another passion that encouraged her writing.